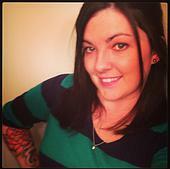 Natasha is a licensed Massage & Bodywork Therapist located at North Main Counseling and Wellness. She is a graduate of the Massage Therapy program at Greenville Technical College and is also trained in Aromatherapy, Lymph Drainage, Polarity, and Chakra Balancing. Natasha creates her own health products, including massage lotion and cream that she uses in sessions. She hopes to market her own line eventually. She also has training in cake decorating, photography and graphic design. Natasha’s hobbies include gardening and painting, but her passion is massage. Her goal is to bring mind and body back in balance to help clients maintain and build a life that is healthy and happy. Please schedule with Natasha via her online scheduling system. Click to schedule online.